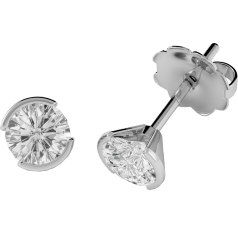 For these reasons diamond studs are also excellent gifts for any woman in your life, you can give them an elegant staple jewellery piece without having to worry about the correctly fitting size. 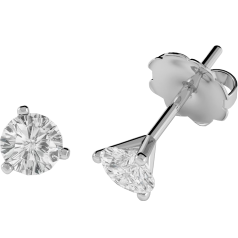 A classic pair of sparkly diamond studs can also be part of a delicate bridal jewellery set. 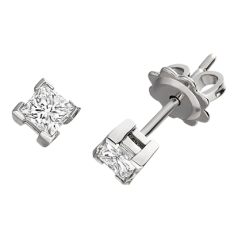 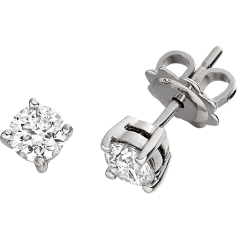 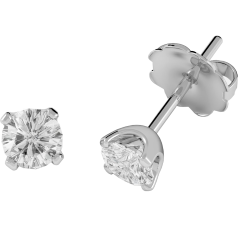 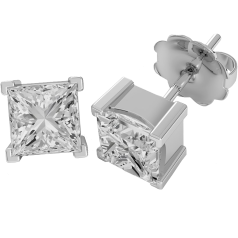 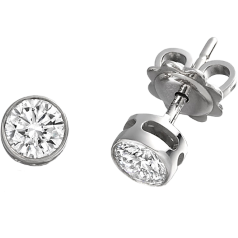 The diamond stud earrings in our collection are carefully crafted in 9ct and 18ct white gold. 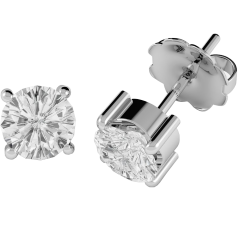 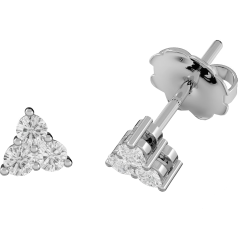 We offer diamond studs set with round Brilliant, Princess Cut, and Heart-Shape diamonds in claw, invisible, rub-over, and rub-over & claw settings. 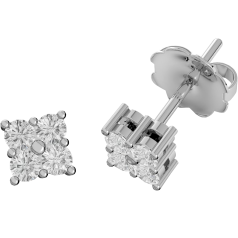 Our stud earrings with heart shaped diamonds also match with our heart shaped engagement rings and pendants. 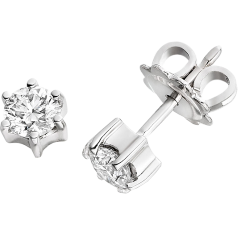 Our diamond studs come with standard post and scroll butterfly fittings, but screw back fittings are also available.